“Scout” is Black Beauty, in real life! This amazing Oldenburg gelding is 9 years old and 17.2 hh. While his stature may be quite large, his personality is just as sweet and demure as they come. He is a perfect gentleman in every way – easy to haul, easy to handle, perfect for the vet and farrier. He is light in your hand to ride and easy off of your seat and leg. Scout has experience both in the hunter ring and dressage arena. He is confirmed through 3rd level dressage, schooling 4th, and easily canters through 3’3″ courses. 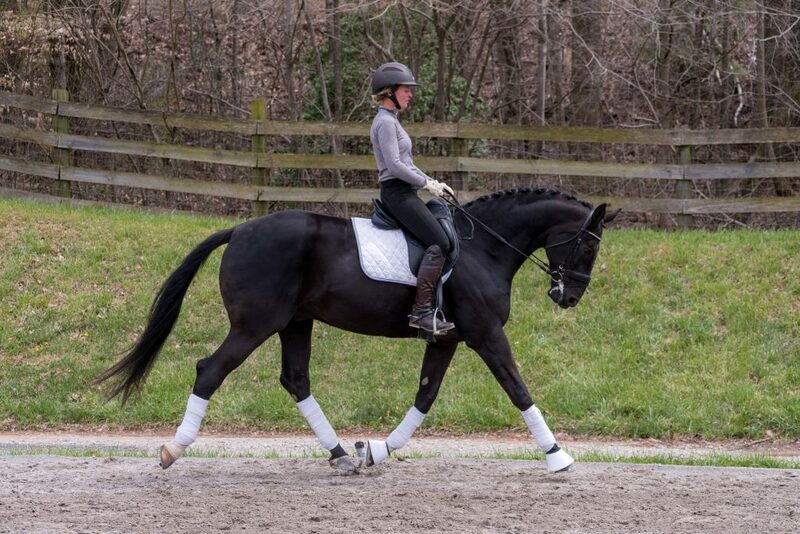 Scout would be the perfect fit for either and adult amateur or a junior young rider. His easy going personality makes him easy to love and a his floating, supple movement makes him easy to ride. Selling to no fault of his own, Scout’s current junior rider is heading to college. Super sound with no vices.